At lunch one fine day in 2008 at a summer festival on the Peninsula, we were describing our Walnut Creek series to a couple of patrons. One of them asked why we didn't replicate that series on the Peninsula, and we couldn't think of a good reason why not! Then and there, two of the patrons pledged support to help make it happen, and we said that we would see what we could do. 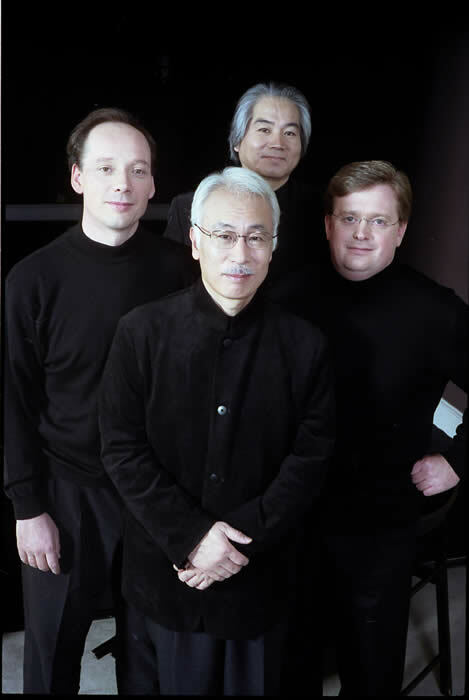 We made some phone calls to artists who we were already presenting in San Francisco, and found that we would be able to put together a first season beginning just months later, in February 2009, that could feature Lynn Harrell, Nelson Freire, the Prazak Quartet and the Kalichstein-Laredo-Robinson Trio. Well, this was too good to pass up, so making a leap of faith we committed to starting the series. We held a series of support-building events in the area, and were lucky enough to find some "angels" who wanted to see the concerts take place. Finding the right venue was a challenge at first. We staged our first season in the 200-seat black box theatre at the Mountain View Center for the Performing Arts, which was not quite ideal for acoustics and sightlines. Luckily for us, the Oshman Family Jewish Community Center in Palo Alto was just being completed in the summer of 2009, and part of that complex is a general-utility space, the Schultz Cultural Arts Hall. When that hall has its theatrical seating in place, it is a quite respectable 330-seat hall with excellent sightlines and acoustics that, while a bit dry, carry very well to all the seats. We moved our concerts to the OFJCC in 2010 and are very happy there. So we have found a home on the Peninsula and have built our audience there as well. In our third season, 2011, we began to sell 95% to 99% of our available seats on season subscriptions. And being fully subscribed like this means that we no longer have to spend money on advertising each individual concert; we spend those funds on artist fees instead, so that our subscribers get the best possible concerts to enjoy. We are delighted to have created this three-city partnership between San Francisco, Walnut Creek and Palo Alto, which is unique in the United States. Everybody wins: the artists, our organization and (especially) our audiences. Our mission in Palo Alto is simple: to bring the finest musicians in the world to the Oshman Family JCC.